Dinghy cruising at Brightlingsea is all about the adventure of exploring coastal waters, rivers and creeks at a pace that suits. 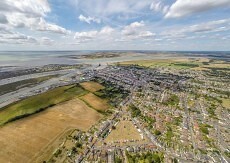 Mersea Island, Wivenhoe and the Blackwater to Maldon are just a few of the places in easy reach of the sailing club. Are you new to sailing or just want to spend time on the water exploring the local area with other like-minded sailors who don't mind where the wind and tide take them? If so please contact Vice Commodore Sailing Simon Redfearn on Email vcsailing@sailbrightlingsea.com to find out more about forthcoming cruising activities and events. Our members collect in groups and explore the interesting creeks and beaches nearby to the club. 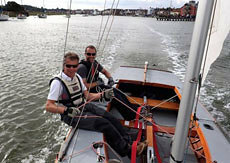 It's a great way to explore the local area and improve your sailing skills. Some members come along to our Wednesday night Supported Development session to take the opportunity to do a little local cruising whilst a rescue boat is on the water. 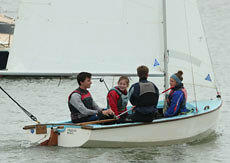 For more information on the sport of Dinghy Cruising try the Dinghy Cruising Association website.